The 1954 Convertible is part of Packard’s limited edition luxury models, as well as is the Caribbean and the Patrician 400 Sedan. 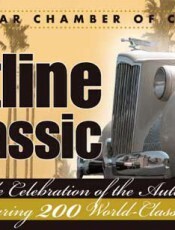 Packard-built vehicles are some of the highest quality of the luxury American automobiles. 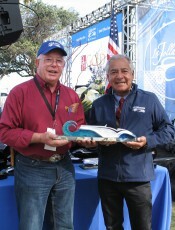 "Ask The Man Who Owns One!" Packards have always been a cut above. 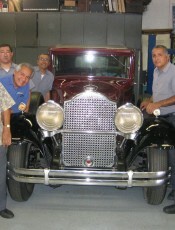 In the 1920s, the marque outsold Cadillac and was considered the American Rolls-Royce. 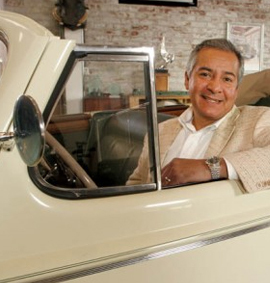 Today, if you want to find out about Packards, all you need to do is ask Robert Escalante. 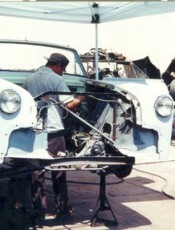 Escalante owns Custom Auto Service, a Santa Ana shop that is known throughout the country for Packard restoration and maintenance. A walk through the establishment - housed in a building that was home to an electric car dealership early in the last century and later a truck dealer - is a step back in time to delight any car buff. 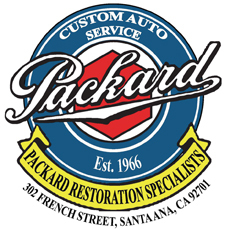 Though the last cars to bear the Packard name were built in 1958, the marque is alive and well here at Custom Auto Service.